Professor Peter Griffiths is Chair of Health Services Research and Head of the Health Work research group. 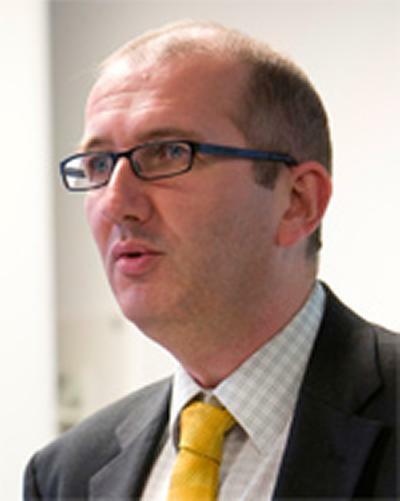 He also leads the fundamental care theme of the National Institute for Health Research’s Collaboration for Leadership in Applied Health Research and Care (CLAHRC) Wessex. His research focusses on the healthcare workforce, and in particular safe and effective nurse staffing. Despite huge technological advances delivering health care is an essentially human activity, which remains labour intensive. Ensuring we have the right workforce and organisation to deliver high quality and safe care with humanity, now and in the future, is the ultimate aim of my research. In 2017 he was appointed as a senior investigator for the National Institute for Health Research, a title which recognises the most prominent and prestigious researchers funded by the NIHR and the most outstanding leaders of patient and people-based research within the NIHR Faculty. Recent NIHR funded research includes studies examining associations between nurse staffing, missed vital signs observations and mortality in acute hospital wards and the costs and consequences of the use of the “Safer Nursing Care Tool” to determine nurse-staffing levels. He led on outcomes data for the international RN4CAST study and worked with the UKs National Institute for Health and Care Excellence to review evidence for its safe staffing programme and has undertaken similar work with NHS Improvement. He is an adjunct professor at Stockholm’s Karolinska Instutet and a senior fellow at the Centre for Health Outcomes and Policy Research at the University of Pennsylvania. He has been Executive Editor of the International Journal of Nursing Studies since 2006. Through a survey and case studies, this study will evaluate the extent to which safe staffing policies following the Francis Inquiry have been implemented, how that varies from place to place, the factors that have shaped implementation, and describe the costs & consequences of implementation. The study will examine how patients' need for nursing care, varies from day to day. This will allow us to see how well staffing matches need and to explore the costs and consequences of different ways of deploying nurses to meet varying need. This retrospective observational study uses routinely collected data on ward and shift level nurse staffing, vital signs observations and patient outcomes in 32 general wards in order to explore the relationship between nurse staffing levels and mortality in hospital. A mixed methods study to evaluate the feasibility of an intervention targeted at developing the relational capacity of hospital ward nursing teams. 2014-2016. This proposed study builds on an existing study (Phase 1), funded by the Engineering and Physical Sciences Research Council (EPSRC), which is due to complete Summer 2011. This phase 1 'before' study examines staff and patient experience in the old hospital buildings before the move to all single room accommodation in the new build and was a collaborative project within the Health and Care Infrastructure Research and Innovation Centre (HaCIRIC) at Imperial College, London. Phase 1 provides in-depth research on care processes, costs and staff and patient experiences in the existing accommodation at Pembury and Kent & Sussex hospitals during the period in the run-up to the move to the new hospital (2011) and its immediate aftermath. However, due to EPSRC's reduced funding for HACIRIC's external collaborators our current study cannot continue beyond May 2011, despite excellent progress and feedback in our interim review. This study explores the impact of this change in a new hospital build which provides 100% single room inpatient accommodation. This project sets out to identify how a national audit could be undertaken and what criteria should be audited. This study, undertaken in collaboration with a large international consortium seeks to explore how the size and composition of the registered nursing workforce affects the quality of care in hospitals. This study, undertaken in collaboration with partners in Canada, seeks to evaluate a nurse-led quality improvement programme which was developed in England by the NHS Institute for Improvement and innovation. This is a feasibility study for an intervention aiming to make fundamental care in acute hospitals more person-centred. It pairs the Creating Learning Environments for Compassionate Care (CLECC) intervention with an adapted, co-produced version of the ‘TellUs’ card to support personalisation of fundamental care in hospital. This project aims to develop and test a nurse sensitive outcome instrument for respiratory nursing. I manage the fundamental care them of the NIHR CLAHRC (Wessex) and a group of researchers working on projects related to the nursing workforce. Griffiths, P. (2019). Registered Nurse and HCA staffing levels: the effects on mortality. Nursing Times, 48-49. Ball, J., & Griffiths, P. (2018). Missed nursing care: a key measure for patient safety. AHRQ Patient Safety Network (PSNet). Griffiths, P., Dall'ora, C., & Ball, J. (2017). Nurse staffing levels, quality and outcomes of care in NHS hospital wards: what does the evidence say? Health Work: Evidence Briefs, 1(1). Ausserhofer, D., Deschodt, M., De Geest, S., van Achterberg, T., Meyer, G., Verbeek, H., ... Engberg, S. (Accepted/In press). 'There's no place like home' - A scoping review on the impact of home-like residential care models on resident-, family- and staff-related outcomes. Journal of the American Medical Directors Association, 1-42. Dall'ora, C., Griffiths, P., & Ball, J. (2016). Twelve-hour shifts: burnout or job satisfaction? Nursing Times, Autumn 2015(3), 1-2. Dall'ora, C., Griffiths, P., & Ball, J. (2015). 12 hour shifts: nurse burnout, job satisfaction & intention to leave. Evidence Brief, (3), 1-2. Ball, J., Dall'ora, C., & Griffiths, P. (2015). The 12-hour shift: friend or foe? Nursing Times, 111(6). Griffiths, P., Jones, S., & Bottle, A. (2013). An assessment of “failure to rescue” derived from routine NHS data as a nursing sensitive patient safety indicator for surgical inpatient care. International Journal of Nursing Studies, 50(2), 292-300. Bench, S., Day, T., & Griffiths, P. (2013). Effectiveness of critical care discharge information in supporting early recovery from critical illness. Critical Care Nurse, 33(3), 41-52. Griffiths, P. (2012). Inaugural lecture: doing away with doctors? Workforce research and the future of nursing. Working Papers in the Health Sciences, 1(1), 1-11. Griffiths, P. (Accepted/In press). Organising practice nursing, organising general practice. Nursing Management. Wegscheider, K., Fritsche, L., Schunemann, H., Moyer, V. A., Miller, D., Boluyt, N., ... Guyatt, G. H. (2010). Determinants of knowledge gain in evidence-based medicine short courses: an international assessment. Open Medicine, 4(1), 1-8. Griffiths, P. (2010). Going metric. Nursing Older People, 22(4). Griffiths, P. (2010). Guest editorial: Quality nursing care. Practice Nursing, 21(3). Griffiths, P. (2010). How good is the evidence for using risk assessment to prevent pressure ulcers? Nursing Times, 106(14), 13-19. Griffiths, P. (Accepted/In press). Measuring the quality of care through audit of process: a cautionary tale. Nursing Times. Norman, I. J., & Griffiths, P. (2009). Editorial: To whom are we writing? International Journal of Nursing Studies, 46(9), 1165. Robinson, S., & Griffiths, P. (2009). Is there a case for the UK nursing workforce to include grades of qualified nurse other thatn the registered nurse? Policy+, 21. Griffiths, P. (2009). Measuring Care. National Health Executive, 2(5), 66-67. Griffiths, P. (2009). RN+RN = better care? What do we know about the association between the number of nurses and patient outcomes? Policy+, 20. Griffiths, P. (2009). Staffing levels and patient outcomes. Nursing Management, 16(6). Griffiths, P., & Maben, J. (2009). The metrics of care. Nursing Standard, 23(20), 62-63. Griffiths, P. (2008). Metrics for nursing. Nursing Management, 15(8), 14-15. Robinson, S., & Griffiths, P. (2007). Entry points and specialist qualifications in nursing. Employing Nurses and Midwives, 116, 6-8. Maben, J., Griffiths, P., & Robinson, S. (2007). Keeping to the same old pathways. Nursing Standard, 21(26), 62-63. Griffiths, P., & Bridges, J. (2010). Nursing research methods. London, GB: SAGE. Hope, J., Schmidt, P., Recio Saucedo, A., Sayer, N., Fogg, C., Griffiths, P., ... Maruotti, A. (2017). Managing night-time vital signs observations: the conflicting care work of supporting sleep and preventing deterioration. In RCN 2017 Research Conference University of Oxford. Recio Saucedo, A., Griffiths, P., Maruotti, A., Westwood, G., Meredith, P., Sayer, N., ... Smith, G. B. (2017). Factors affecting observations of vital signs in hospital during the night shift: nurses’ perspectives. 68. Abstract from RCN International Nursing Research conference 2017, Oxford, United Kingdom. Hope, J., Recio Saucedo, A., Griffiths, P., Smith, G., & Schmidt, P. (2017). Under the radar: The benefits of a sociological view of nurses’ ‘non-compliance’ in hospital wards at night. In Medical Sociology Study Group: 49th Annual Conference Programme (pp. 102). BSA Publications. Bridges, J., Lucas, G., Wiseman, T., & Griffiths, P. (2017). Developing the health care workforce to deliver high quality cancer care to older people: a systematic review. Southampton, GB: University of Southampton. Ball, J., Maben, J., Murrells, T., Day, T., & Griffiths, P. (2015). 12-hour shifts: prevalence, views and impact. London, GB: National Nursing Research Unit. Simon, M., Ball, J., Drennan, J., Jones, J., Recio, A., & Griffiths, P. (2014). Effectiveness of management approaches and organisational factors on nurse sensitive outcomes. University of Southampton. Griffiths, P., Ball, J., Drennan, J., James, L., Jones, J., Recio, A., & Simon, M. (2014). The association between patient safety outcomes and nurse/healthcare assistant skill mix and staffing levels and factors that may influence staffing requirements. Southampton, GB: University of Southampton. Griffiths, P., Bridges, J., Sheldon, H., Bartlett, R., & Hunt, K. J. (2013). Scoping the Role of the Dementia Nurse Specialist in Acute Care. Southampton, GB: University of Southampton. Maben, J., Morrow, E., Ball, J., Robert, G., & Griffiths, P. (2012). High quality care metrics for nursing. London, GB: National Nursing Research Unit. Morrow, E., Robert, G., Maben, J., Griffiths, P., & NHS Institute for innovation and Improvement (2011). Improving healthcare quality at scale and pace. Lessons from The Productive Ward: Releasing time to care™ programme. Full report. Coventry, GB: NHS Institute for Innovation and Improvement. Griffiths, P., Armes, J., Finnegan-John, J., Wagland, R., Richardson, A., & Corner, J. (2011). Quality in cancer care: nurse sensitive indicators for ambulatory chemotherapy. Southampton, GB: University of Southampton. Jones, S., Bottle, A., & Griffiths, P. (2010). An assessment of failure to rescue derived from routine NHS data as a nursing sensitive patient safety indicator (report to Policy Research Programme). London, GB: National Nursing Research Unit. Gerova, V., Griffiths, P., Jones, S., & Bick, D. (2010). The association between midwifery staffing and outcomes in maternity units in England: observational study using routinely collected data. National Nursing Research Unit. Morrow, E., Griffiths, P., Maben, J., Jones, S., & Robert, G. (2010). The productive ward: releasing time to care - learning and impact review. Coventry, GB: NHS Institute for Innovation and Improvement. Griffiths, P., & Kafetz, A. (Ed.) (2010). Why look at deaths after surgery? London, GB: Dr. Foster Research. Robinson, S., & Griffiths, P. (2007). Nursing education and regulation: international profiles and perspectives. London, GB: National Nursing Research Unit. Dall'ora, C., & Griffiths, P. (2017). Flexible nurse staffing in hospital wards: the effects on costs and patient outcomes. Health Work: Evidence Briefs, 3(1). Griffiths, P., & Dall'ora, C. (2017). Shift work in hospitals: what are the effects on patient and employee outcomes? Health Work: Evidence Briefs, 2(1), 1-2. Dall'ora, C., Pope, C., Crouch, R., Sujan, M., & Griffiths, P. (2017). Skill mix and new roles in Emergency and Urgent care: what is the evidence? Health Work: Evidence Briefs, 2, 1-2. Griffiths, P., & Saville, C. (2019). Tools & systems to determine nurse staffing requirements: an evidence review. University of Southampton.